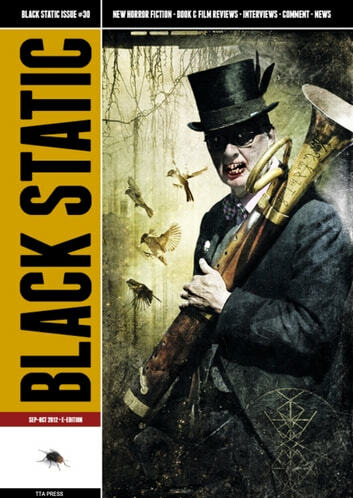 Black Static is the award winning bimonthly horror and dark fantasy short story magazine from TTA Press, publisher of Interzone and Crimewave. Black Static contains groundbreaking dark fiction by some of the world's best writers and most talented newcomers, plus hard-hitting features and innovative artwork. Many recognised authors and artists started their careers in TTA publications and new ones continue this tradition. However their more well known peers; Ramsey Campbell, Joel Lane, Nicholas Royle, Nina Allan continue to supply great stories.